The LV-7490 is Canon's first 4000 lumen, XGA, portable LCD projector. Weighing in at just 7.2 lbs, and street priced under $1,000, it is one of the lightest and least expensive 4000 lumen projectors on the market. It asserts has a low-maintenance profile with a lamp life of up to 5000 hours and air filters to withstand up to 5500 hours of use. With minimal upkeep and good overall ease of use, the LV-7490 is a solid value in a portable presentation projector. In order to get that 5000 hour lamp life, you need to run in low lamp mode which cuts light output in half. But sometimes in smaller group presentations, cutting the light output in half is exactly what you need to keep from blinding your audience. Overall, the LV-7490 is a versatile presentation projector that generates a lot of power when you need it, and less power when you don't. 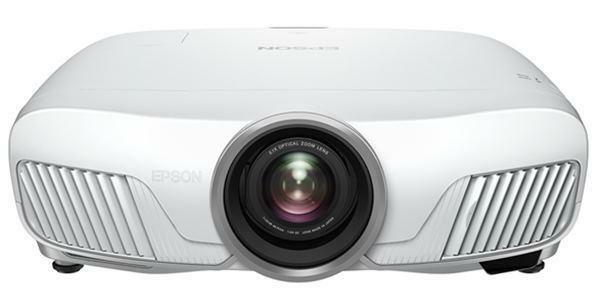 Though the Canon LV-7490 can be deployed permanently in a conference room or classroom, its 7.2 lb. weight and small size allows it to be transported from location to location without too much trouble. It is ideal for the presenter who sometimes has a large audience where up to 4000 lumens is an advantage, and sometimes has a smaller audience for whom 4000 lumens would be way too much. The LV-7490 is sturdily built with the footprint of a laptop, only twice as thick. Professionals who need high brightness and some mobility will appreciate the LV-7490's smaller than average size. While the projector is a good size to be placed on a rolling cart, it is slightly too large to be comfortable for the frequent business traveler. These people will likely opt for something lighter and less unwieldy-- unless they truly need all of the LV-7490's considerable light output. Light output. The Canon LV-7490's primary advantage is its variable light output. At its brightest settings, the image is bold and brilliant. There are six pre-defined image settings. From brightest to dimmest, the settings are Presentation, Standard, High Contrast, Cinema, Blackboard (Green), and Colorboard. Presentation offers the highest light output at 3605 lumens on the Normal lamp setting. Standard mode, the next brightest setting, measures 3175 lumens. High Contrast measures 2754 lumens, while Cinema measures 2600 lumens. If these operating modes are too bright, there are three other lamp modes to reduce brightness --Eco 1, Eco 2, and Lamp A. Lumen output drops by 37% in Eco 1 setting and 51% in Eco 2. Lamp A is a dynamic setting which brightens and dims the projector's lamp based on the content being displayed. Images with a large amount of white are displayed at maximum brightness, while for darker pictures lamp power is reduced. This feature mimics the function of an automatic iris. Unfortunately, its adjustments cause noticeable fluctuations in fan noise. Normally, fan noise on the LV-7490 is a low-pitched rush of air. While not quiet, it is not as distracting as the high-pitched whine produced by some projectors. The Eco lamp modes reduce fan noise drastically, which will ease audience discomfort in a smaller room. The two brightest modes show some inaccuracy in color reproduction: Presentation mode has a yellow green bias, while Standard mode looks slightly cool. The LV-7490's color adjustments can be used to reduce these biases, though not eliminate them completely. Those seeking a color-balanced image can use High Contrast mode, which is the most neutral of all preset modes. Cinema likewise has a neutral tone, appropriate for movies. Blackboard (Green) has a magenta cast, intentionally used to offset the green color of a typical chalkboard. Alternatively, the Colorboard setting offers four options, each compensating for the type of board used as a screen. For example, Colorboard in Red mode compensates by increasing cyan. For Blue and Yellow Colorboard modes, the projector increases yellow and blue respectively. Colorboard Green and Blackboard (Green) are identical.